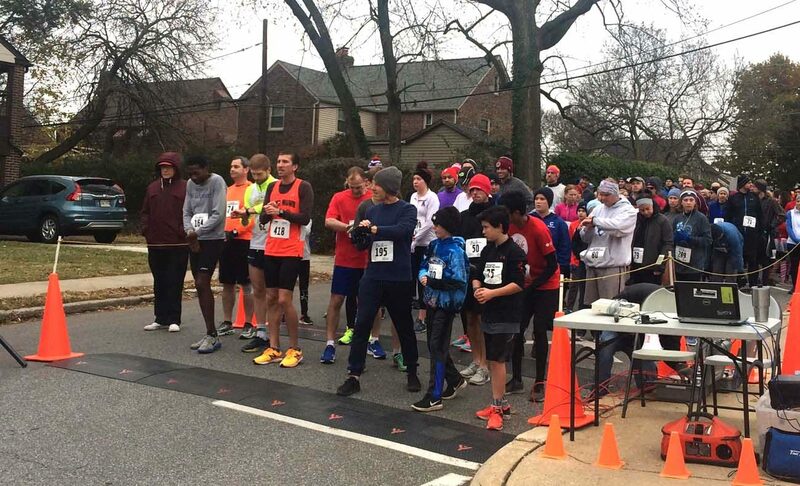 After one decade, the Turkey Trot at St. Bernadette Parish in Drexel Hill has become a tradition in the Delaware County community. 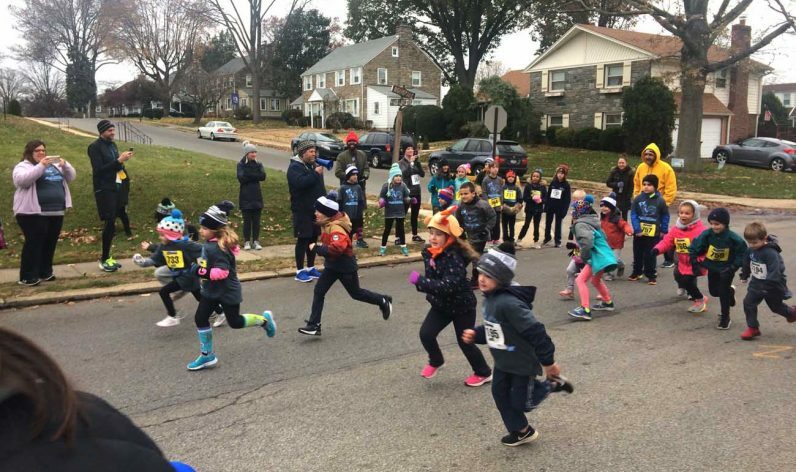 The 10th annual 5K run or walk, a one-mile family health walk and a “dumpling dash” for young children featuring awards for top finishers plus raffle prizes was held Saturday, Nov. 26. An event like the Turkey Trot does not occur overnight. It takes months of planning along with a group of loyal volunteers from the parish and school. The event committee starts to secure township permits during the summer months and reaches out to faithful sponsors from previous years. Then as the school year begins, parishioners, school families, faculty, alumni and township officials start promoting the event through local businesses, in parish bulletins and on social media. “The spirit of St. Bernie’s shines through in this 10-year tradition,” said St. Bernadette School Principal Joanne Montie. Planners hope each year to raise between $10,000 and $15,000, depending on the weather and the varying number of participants. Funds raised directly benefit St. Bernadette School’s operating costs and new student programs. Most years approximately 170-200 runners and walkers participate but this year more than 300 registered to run, including a few walk-ups on Saturday morning. Additionally, about 30 kids ran in the dumpling dash. “It’s a highlight for them,” said event co-chairperson Teresa Haen. This day is a tradition for the Githens family including 10-year-old Ava, a fifth grader at St. Bernadette’s, and 6-year-old Liam, a kindergartener at the school. Ava has participated ever since she was 4. “I just like doing it for fun,” she said. The Upper Darby Police Department is always on the scene for security purposes. Bryn Mawr Running Company chip timed the course, and volunteers staffed water stations along the 5K route through the borough. After the 5K was completed and before awards were given out, Father Christopher Papa, pastor of St. Bernadette, took some time to express his gratitude for the community coming together and supporting the school as well as to those who spent many hours preparing for this important day. Prevailing as the overall winner in the race was Finnegan Glew with a time of 17:20. This marked his first time coming out for this particular race but as an avid runner, he participates in about 10 to 15 5K races a year. This was his last one for 2018. Katie Rodden of St. Denis Parish in Havertown placed first among women and fourth overall in 18:16. This was her third year running in the Turkey Trot. There were age group winners as well. 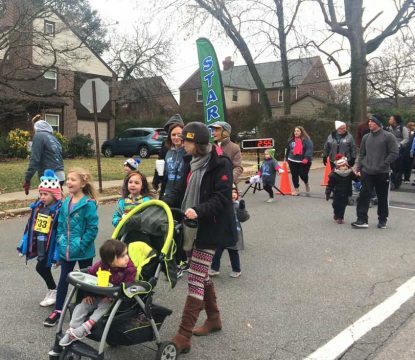 Sarah Calcagni, a member of neighboring St. Dorothy Parish and a freshman at Temple University, took part in this special day for the first time and finished first for women in the age 15-19 category. Her sister, Maggie, an eighth grader at Drexel Hill Middle School, also participated and encouraged her sister to sign up. Parishioners and participants hoped the Thanksgiving tradition in Drexel Hill will continue for years, and decades, to come.